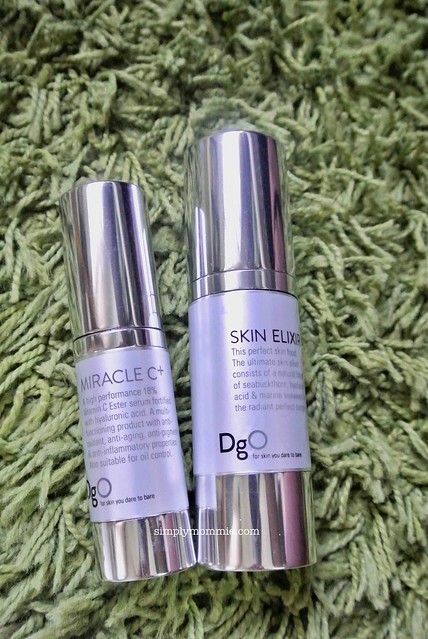 For the past five weeks or so, I’ve been using Dermagold’s Miracle C+ (it has been reformulated and marketed as Elite Miracle C+ in 2018) and Skin Elixir. As you know, I’m very selective about reviewing skincare products, especially those for the face as I have rather sensitive skin. 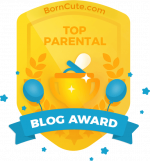 These products are however formulated for even those with very sensitive skin so I decided to give them a go… plus Dermagold’s a home-grown award-winning skincare brand! Besides, I was keen to try out Miracle C+. 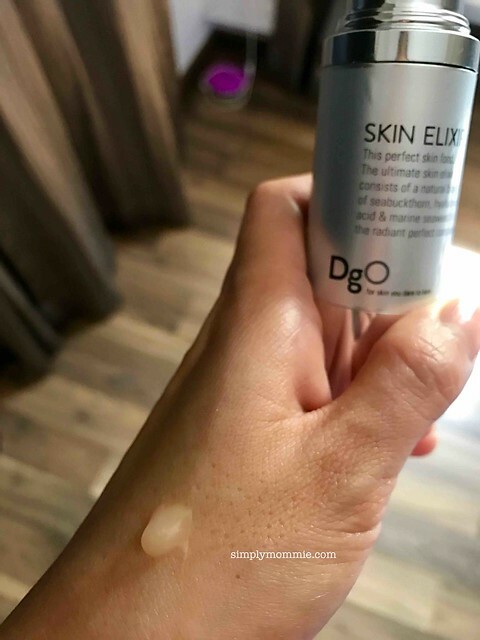 It is Dermagold’s star product with an award-winning formula, having clinched the Editor’s Choice Great Skin Saver Award from Simply Her Magazine in 2015. Did you know that we would have to consume 3g of Vitamin C a day in order for there to be visible effects on our skin? That’s a lot! Thankfully, Dermagold’s got it all formulated, and in an elegantly packaged bottle no less! Miracle C+ is gentle, reduces blemishes and brightens skin after repeated uses. Miracle C+ is therefore ideal for all skin types, especially those prone to breakouts and healing from acne scars. Those with sensitive skin can also use this with a peace of mind. Honestly, at my age, any boost in skin rejuvenation is very welcomed! Harnessing the benefits of Vitamin C ester and Hyaluronic Acid, Miracle C+ enhances skin moisture and remedies dry skin. It can also be easily used as part of any skincare regime as it works synergistically along with other skincare products. I do like a half-pump or so each time. 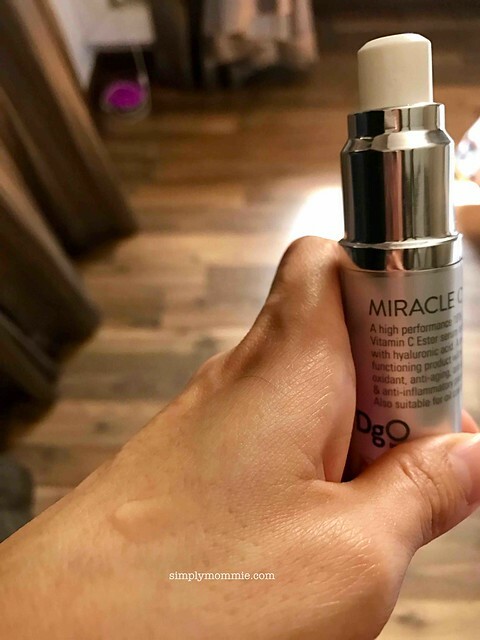 Because Miracle C+ is very light and fluid, it evaporates quickly, leaving my face feeling light and refreshed rather than sticky and wet or oily. Apparently, not only does the Miracle C+ work in humid conditions, it can easily be used in other climates as well, as it can help the face retain moisture in dryer climates – so if you’re travelling, this is a versatile item to pack along! The other item I tried was Dermagold’s Skin Elixir. 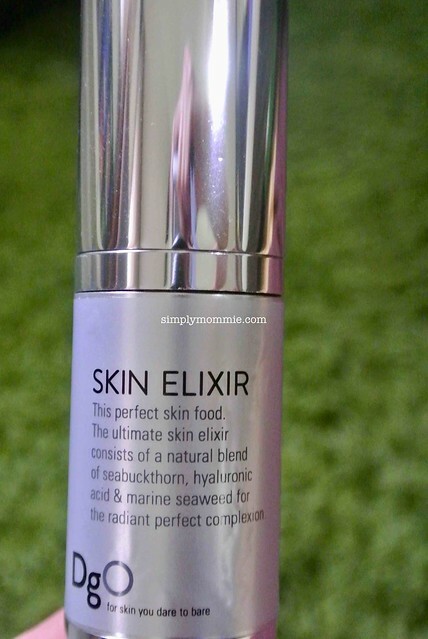 Skin Elixir contains seabuckthorn – a potent ingredient that can boost the skin in many ways. In fact, the entire seabuckthorn, from its berry, to the bark and leaves, are high in anti-oxidants, essential amino acids, Vit E, the rare Omega 7 and up to 190 other bioactive nutrients! 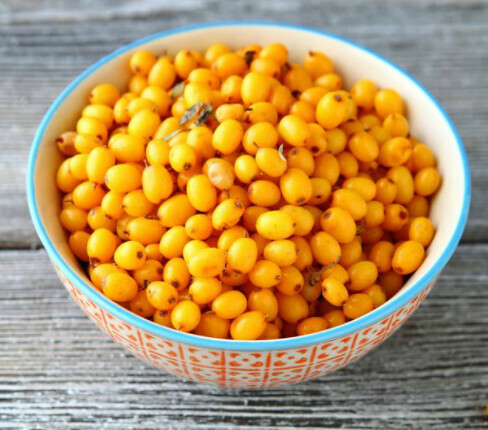 Add seabuckthorn to the equation and you basically get a nutritious skin food that can provide for your skin in a wide range of ways, from anti-aging properties, to acne treatment and natural skin healing and regeneration. Because this spreads really well and is very light, I don’t use very much each time. 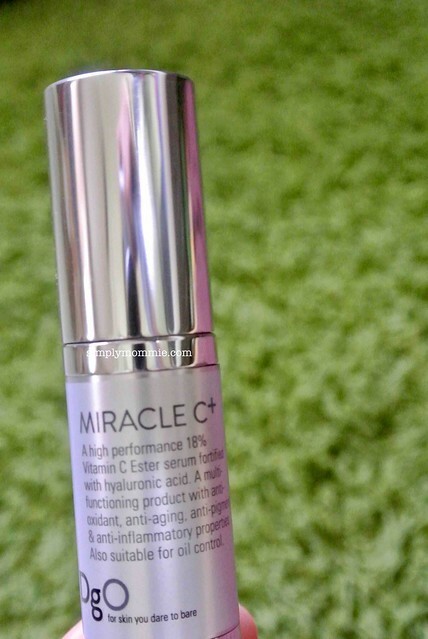 I apply the Skin Elixir AFTER using Miracle C+ for optimum results. After telling you so much about both the Miracle C+ and Skin Elixir, and after using them for about five weeks, once to twice a day (after cleanser and toner), here’s my review on its efficacy thus far. You can buy award-winning star couple (Miracle C + and/or Skin Elixir) at 15% off, simply by quoting “DERMAGOLDSIMPLYMOMMIE” on the Dermagold Store www.dermagold.sg when you checkout to enjoy the specials. Valid till 31st July 2017. Also, you’ll receive 7 Premium White Mask (worth $70) FREE when you purchase BOTH Miracle C + and Skin Elixir. Disclosure: A bottle each of Miracle C+ and Skin Elixir were provided for purposes of review. No monetary compensation was received. All opinions are mine.